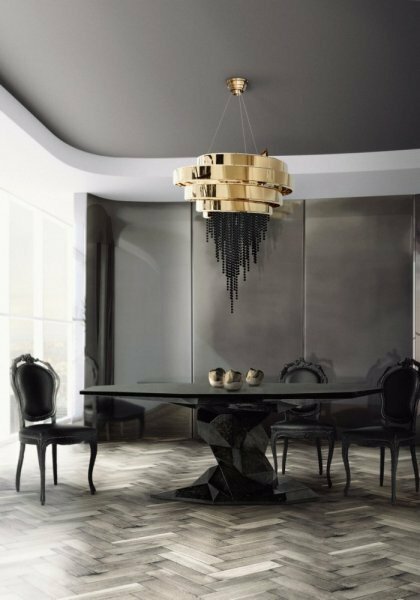 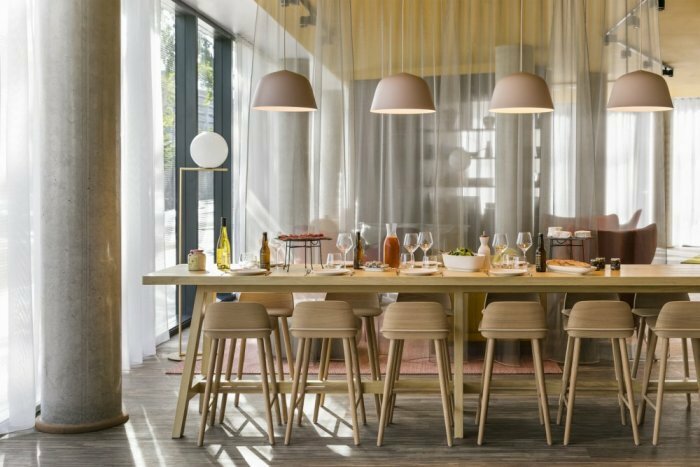 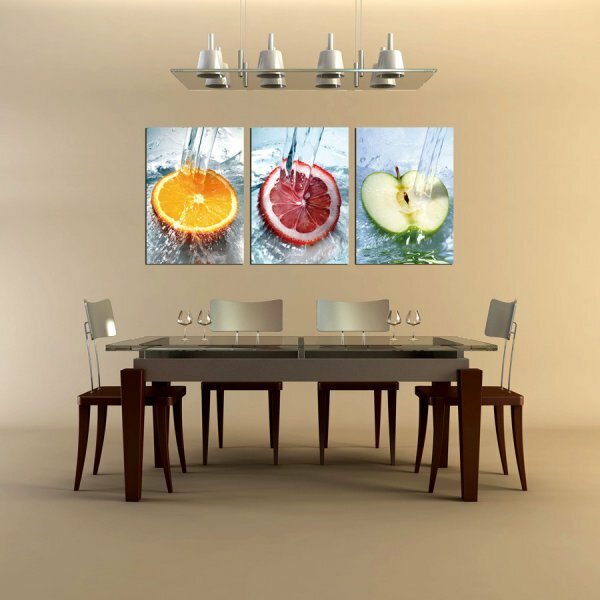 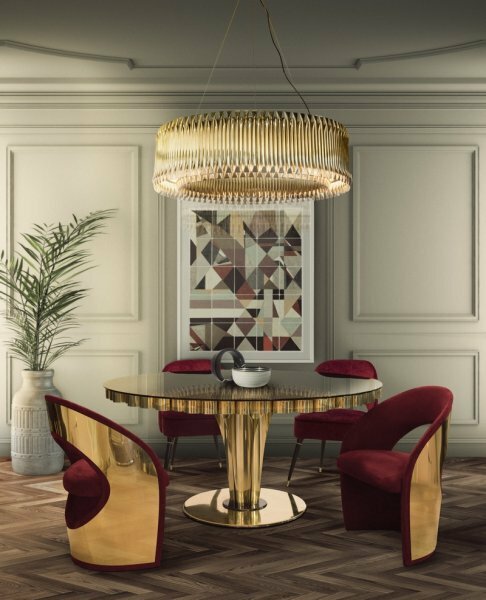 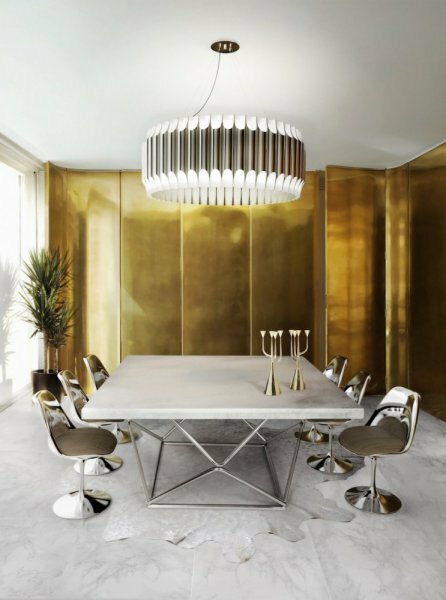 If you prefer modern and modern designs and keep up with the fashion, you should always adopt the modern style in your dining room. 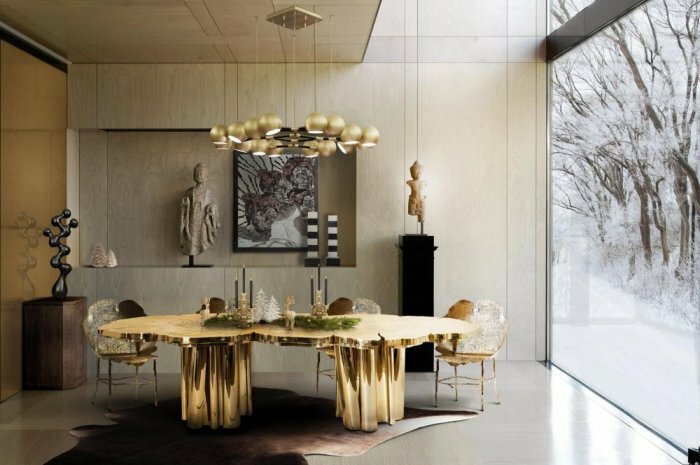 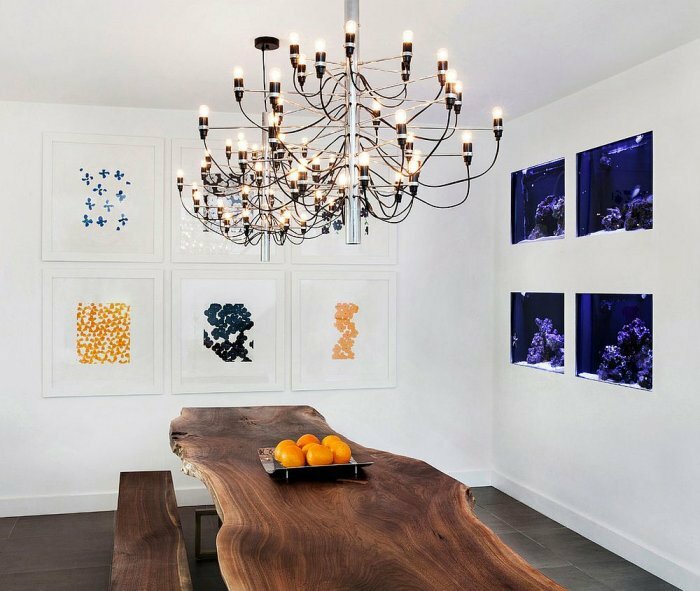 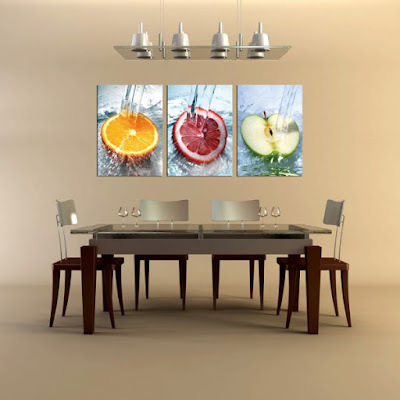 Dining room decorations are often inclined to classical and traditional forms such as wooden rectangular tables and comfortable chairs with crystal chandeliers hanging in the middle. 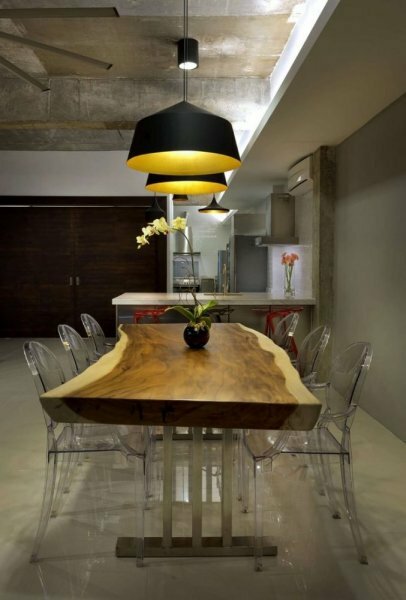 You can change this stereotype with modern and attractive table designs that change from dining room decor. 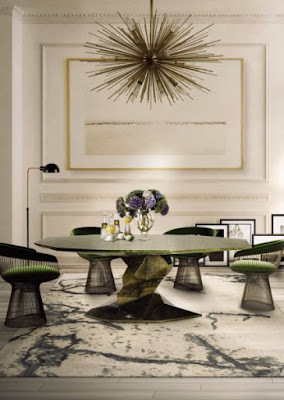 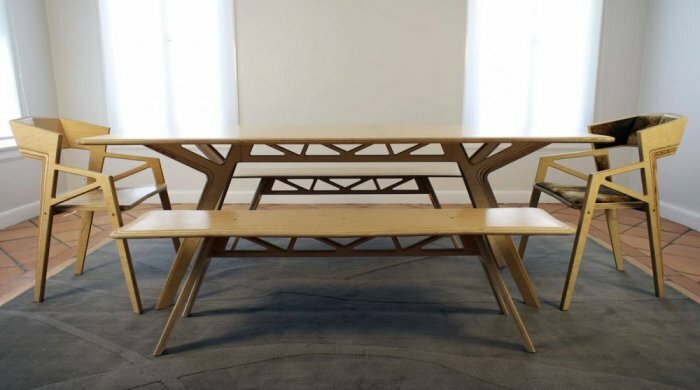 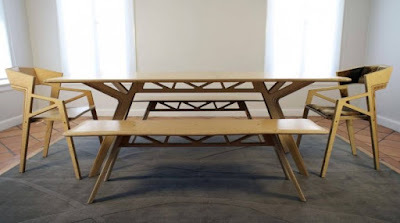 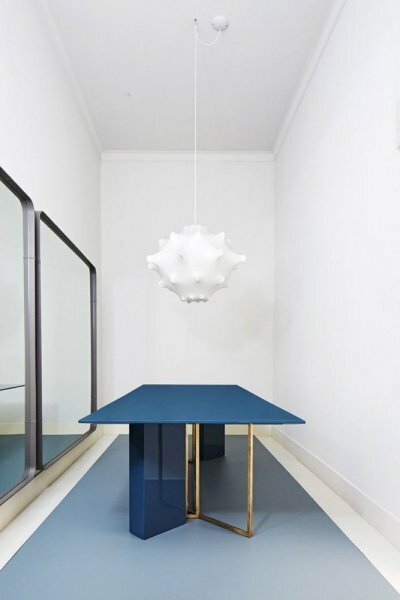 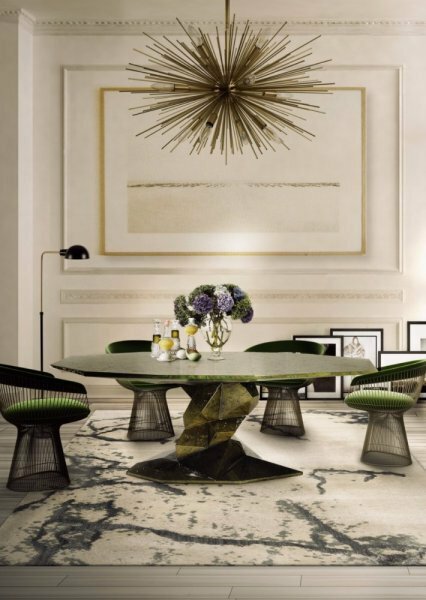 Asymmetrical shapes In contemporary decoration, it is not necessary to have dining tables with regular geometric shapes such as rectangle or square as we will see in the pictures we have chosen for you. 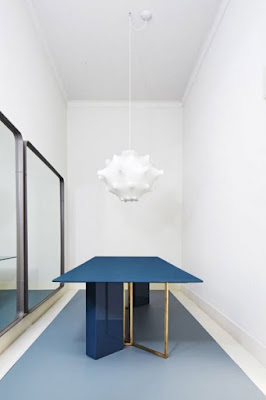 The table space in the dining room can be oblique or far from the middle to break the pattern. 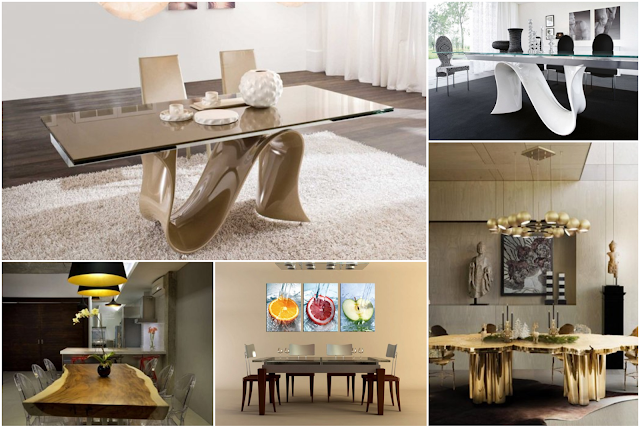 Non-wooden dining tables can be made of tempered glass give transparency and lightness to the vacuum or metal tables that give the interior decoration a modern and clear and bold. 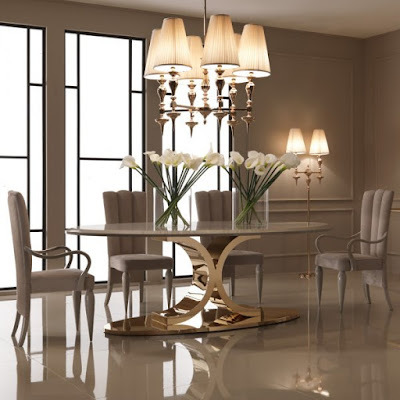 The choice of color is very important in modern design style. 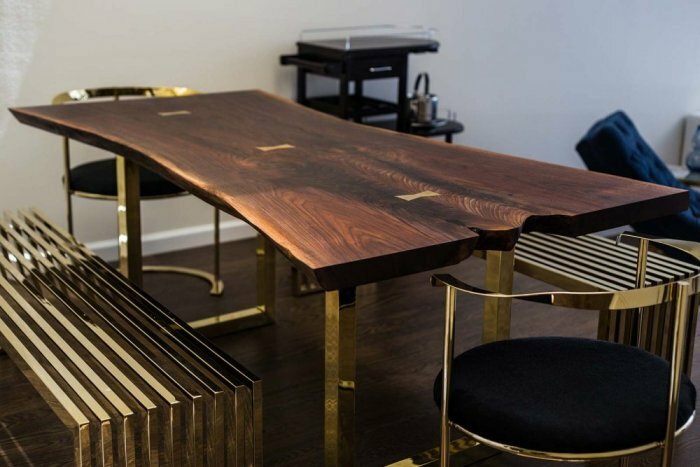 There are modern dining tables that choose bold colors such as yellow and red, even if they are in classic designs, but it is enough to choose these colors to turn into attractive modern tables. 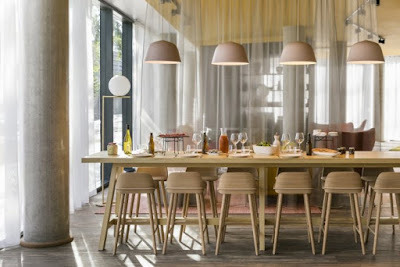 🥘 It is important that the designs of chairs suitable for these forms of designs. 🥘 The lighting fixtures used should be modern away from the traditional crystal chandeliers hanging from the middle of the ceiling. 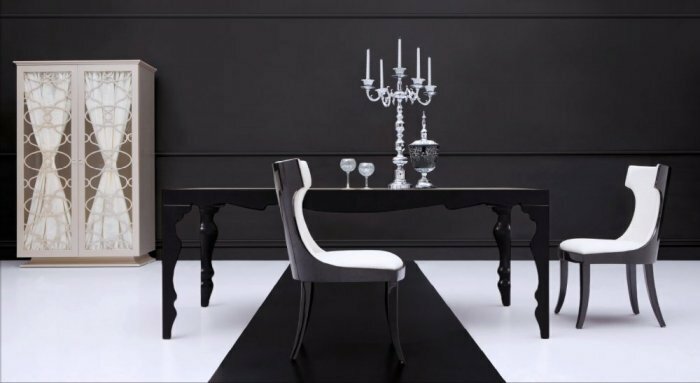 🥘 Choose wallpaper or attractive wall colors for interior decoration. 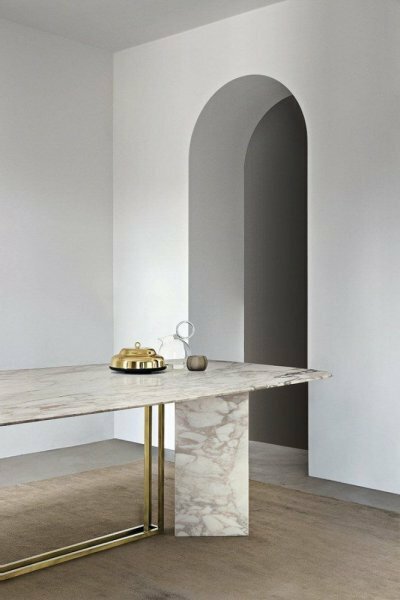 🥘 Classic and modern style can be combined with traditional touches such as classical carpets, art paintings or even the used dishwasher.